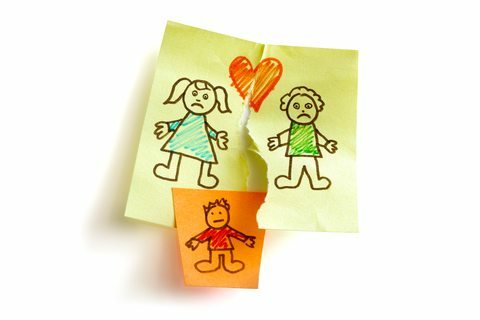 Most of the talk surrounding Florida’s Senate Bill SB 718 has been its radical overall of Florida’s alimony laws, but there are also significant, less publicized, changes to Florida’s child time-sharing laws (a/k/a child custody laws). Currently there is no presumption for or against time-sharing for either parent. The current agnostic time-sharing law affords Florida family law judges flexibility to fashion time-sharing arrangements that are in the best interests of the child(ren) while fostering a relationship with both parents. 1) A parent who is incarcerated. 2) A parent who lives too far away to make 50/50 time-sharing practical. 3) An injunction for protection against domestic violence has been entered. 4) There is a history of domestic violence in the home. 5) The safety, well-being, and physical, mental, and emotional health of the child would be endangered by equal time-sharing. If the above exceptions do not apply, then the parent seeking to deviate from 50/50 time-sharing must show by “clear and convincing evidence of extenuating circumstances” to justify deviation from 50/50 time-sharing. If a parent demonstrates by clear and convincing evidence that 50/50 time-sharing is appropriate, the court must make written findings justifying deviating from 50/50 time-sharing. In my opinion, the proposed default 50/50 time-sharing standard will create more intense litigation and lead to more time-sharing orders that are not in the best interest of the child(ren). If Senate Bill SB 718 is signed by Governor Scott, economics will increasingly drive child custody litigation. Child support is in part calculated based on the number of overnights each parent spends with the parties’ child(ren). Even if one parent has done the majority of the parenting prior to or during the separation of the parties, and the potential non-majority time-sharing parent is not naturally inclined to assume time-sharing responsibility, or has a demanding time-consuming career, the potential non-majority time-sharing parent seeking to reduce child support will point to the Legislature’s 50/50 time-sharing pronouncement when negotiating or litigating child support. Why? In my experience as a divorce attorney, many parents seek to minimize their child support obligation. It makes economic sense for the post separation non-majority time-sharing parent to ask for 50/50 time-sharing as a means to reduce child support, even if they may not be naturally inclined to assume 50/50 time-sharing. Senate Bill 718 will make that easier. The question is: will child(ren) benefit? If you are interested in Florida’s current time-sharing law, click on the following link to an article discussing the current law. If you have questions about how Senate Bill SB 718 may impact your family law case, please contact us at 904-339-5298 or through this website. Your first consultation is free. I agree. Each situation is different. Judges should have wide discretion to determine what is in best interests of children. Even with the wide descretion its still hard for me to get majority of time sharing even though I have already proved I had it prior to going to court. The judges are still leaning more towards the mothers instead of the full picture of the situation. I’m at 50/50 temp right now with her paying child support to me, I even offered her to keep the money but she won’t budge because its a control issue with her. So I have to pay thousands for my upcoming trial. Oh and did I mention she works and takes a college course here and there every once in a while so she gets bonus points for that. Even thought I work and have a degree already. Exactly, Judges should do the job they are elected or appointed to do. Here the evidence on both mom and dad, and if no detrimental criteria is brought forth then both should get 50/50 to ensure the mental well being of the child and the bonding to both parents and not just one parent more than the other. When both parents live in close proximity and both are capable of providing quality, loving, care, it should be a no- brainer. I know from coming from a divorced family that is was hard to deal with the long separation from one parent more than the other. This process of 50/50 custody/visitation would in my opinion provide a more stable environment for the child and the child will not feel alienated from the other parent. All I have to say is it’s about time!! I hope they pass this bill! I have been treated like a sperm donor from my ex for years. She dosen’t consult with me about anything having to to with my kids. Their step dad is verbally abusive and it has caused my child to seek mental health counseling. My children have asked to live with me and their mom has refused because she wants the child support! Get this she’s a mental health family therapist making a lot more money than I do! I asked for joint custody when we filed for divorce years ago and she fought me against it because of the money. Maybe not good in all cases ( and they are outlined in the bill) but for sure this Bill is for people who have similar problems with ex’s like I do! God please, yes please pass this 50/50. My husband and his ex have always deviated from their court ordered schedule because it didnt make sense of 2 nights per week for 3 hours them 5 hours on Saturday one weekend and friday at 6 to Saturday at 6 on opposite weekends. Too much running around and gas especially when he was out of work 2 years and I was supporting him including paying his child support every month and on time. Either way they agreed he gets his daughter on 1 weekend from Friday at 6 to Saturday at 6 and the following weekend from Friday at 6 to Sunday at 6. Now the child’s 4 and about to start VPK and my husband wants nothing more than to be involved with her education and at least be able to drop her off at school a few times a week. According to guidelines with both of their incomes and him getting overnights of 6 a month rather than 2 a month like the origional court order said, she should actually be paying him because she makes more money than him and that’s what the figures show but he’s never tried modifying it because $50 week is just to benefit his child so he doesn’t mind paying it even though the courts would flip it if they went back. Anyways now that she’s starting VPK he tried asking the mother for 50/50 which would truely benefit their child and he’s willing to pay all aftercare fees since she will no longer get free daycare from the state because they don’t cover public schools aftercare. On top of the child support he pays now we also pay for gymnastics for her and again we still don’t take her back to modify child support which would actually make the mother pay him instead and we’ve let this go on for 3 years and now that he wants more time she says he’ll no I want my every other Sunday like I have now and we proposed a 50/50 that gives me every Saturday until 6 and her every overnight Saturday and every single Sunday since she was so concerned about her Sundays and again she says no. Nothing we have proposed has seemed good enough for her even though were willing to assume full costs for the child even thought its a 50/50 split and for whatever reason she seems to think that even though their daughter loves it at our house (even has a step sister 4 months younger than her she loves to spend time with) and cries everytime mommy picks he rip because she doesn’t want to leave that he doesn’t deserve more time with her. 50/50 is a great option for parents as long as they can prove they can benefit the child with having 50/50 and are capable of equal support. Unfortunately in cases like this the mothers always win rit now and for moms like her its all about the foodstamps and daycare assistance she gets from the state. If she gets 50/50 of their daughter then her daycare liability will go up for her infant (from another relationship) and she will be responsible to actually pay a copay for the newborns childcare and lose some of her foodstamps because she wouldn’t be able to claim the child full time. This is sad but true and a lot of parents are doing this now. They cannot grow up and realize its not about them anymore and its only supposed to be about what’s best for the child not their state assistance…… This just angers me to no end. Unless one parent can provide evidence of why the other should not have a 50/50 split its only fair for both parents to at lease get the chance. The best remedy is a good attorney. With time-sharing, I don’t the Legislature can be fair either.